Breaking news to get your weekend off to a good start. 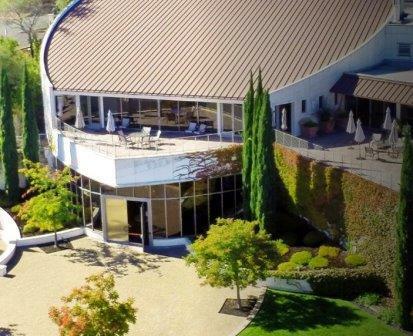 Alfred Tesseron and Melanie Tesseron of Pontet Canet in Pauillac just closed a deal to purchase the Robin Williams Napa Valley vineyard and estate. This could end up being quite a smart purchase for the property by the Tesseron family. The estate first came on the market in 2012 priced at close to $35,000,000! By April 2015, the price declined to $26,000,000, falling even further to under $23,000,000 in October 2015. You heard it here first. The Tesseron family will name the vineyard and their new wine, Pym-Rae. This was the special name that Robin Williams gave the vineyard, which will be used as a hommage to Robin Williams. Aside from being one of the most successful and popular wine makers and marketers in Bordeaux, Alfred Tesseron and Melanie Tesseron are also incredibly accomplished in Cognac with their Tesseron brand. However, this is the first vineyard purchased by Alfred Tesseron outside of Bordeaux. The large 640 acre estate is known as Villa Sorriso, (which is translated to “Villa of Smiles”) was originally purchased by Robin Williams in 1994. The house was designed by David Gast and Associates and was built in 2003. The sprawling 640 acre estate is situated at the end of Wall Road, which takes its name from Duane Wall. Duane Wall was the sales rep for Nadalie, French oak barrels in the Napa Valley for several years. The Robin Williams Napa property includes slightly more than 18 acres cultivated with vines that are planted on Mt. Veeder. Additionally, the deal includes a magnificent 2 story Italian styled villa, movie theater, 5 bedrooms, 10 bathrooms, tennis court and infinity pool in a tidy, 20,000 square feet home. A barn and stables are also part of the property, which is a good thing as they use horses to work the vineyards at Pontet Canet in Bordeaux and they might also use horses in the Napa Valley. The 18 acres of vines are ideally placed in the Mt. Veeder appellation, high up, in the cooler terroir of the Mayacamas Mountains. The vines are planted to the type of Left Bank Bordeaux grape varieties that the Tesseron family are familiar with; Cabernet Sauvignon, Merlot and Cabernet Franc. In fact, the vineyard is even planted to the same mix as they have at Pontet Canet with 65% Cabernet Sauvignon, 30% Merlot 5% Cabernet Franc. They plan on also using biodynamic farming in Napa, but due to the steep, hillside terrain, they will need to make some modifications. For example, they will use cows in the vineyard. Cows, due to their size and weight will naturally leave small indentations in the soil, which will retain water. In California, which doe not see as much rain as Bordeaux, this will help with their plans to dry farm the property. The grapes were previously sold to other growers including Robert Craig and Rombauer. It is unknown how much of the additional acreage is able to be planted at this point. Because there was no winery at the estate, (as they sold all the grapes,) a new winery will need to be built, which will take time and money to create, especially as the neighborhood is known for its small, windy roads. The appellation of Mt. 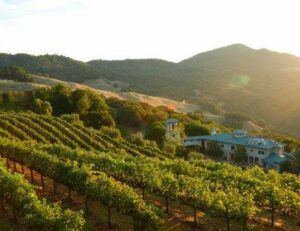 Veeder, with its steep, volcanic soils and hillside plantings is best known for producing, tannic, powerful, age worthy, Napa Valley, Cabernet Sauvignon wines. Yields on Mt. Veeder are lower than you often find on the valley floor. As a guess, the yearly production could average slightly more or less than 3,000 cases of wine per vintage. Aside from grape vines, more than 100 mature olive trees are planted on the property. Alfred Tesseron has been looking for the right deal in Northern California for several years. Both Alfred Tesseron and Melanie Tesseron have traveled to Napa Valley several times over the years seeking the right vineyard. But until recently, Tesseron was not able to find the situation he was looking for. Since 1994, when Alfred Tesseron took over control of Pontet Canet, the improvements brought about by Alfred Tesseron have been nothing short of amazing! In those days, the wine was considered a decent, inexpensive Pauillac. 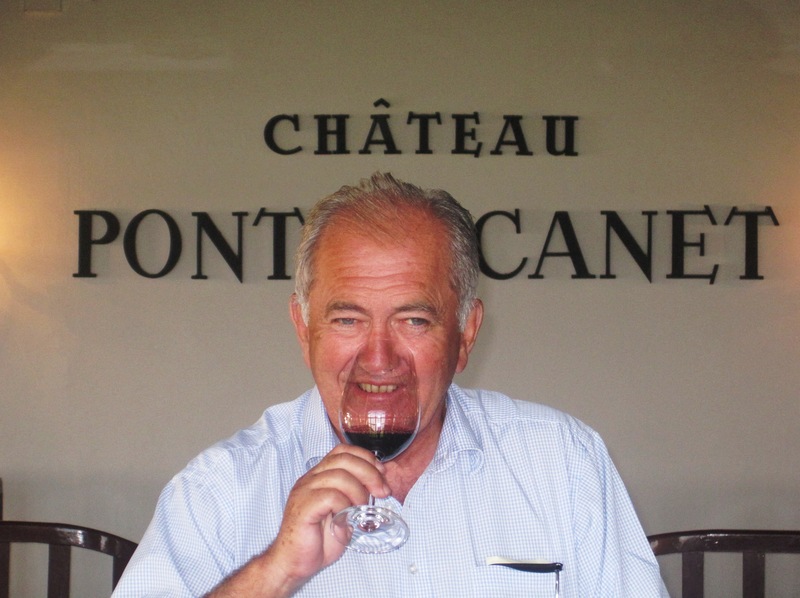 Today, that is not the case as Pontet Canet has scored 100 Pts from Robert Parker on 2009 and 2010 and the wine is now considered one of the must have wines from the Left Bank of Bordeaux. At Pontet Canet they are 100% biodynamic in their vineyard management techniques. It is expected that the team of Pontet Canet, including Alfred Tesseron, Melanie Tesseron and Jean Michel Comme will continue those same practices in the Napa Valley. Due to the continuing water shortage experienced by growers in Napa Valley, it is a fair assumption that they will dry farm and continue utilizing biodynamic farming techniques in Napa Valley. While there will be a full time staff based at the new vineyard, the technical team from Pontet Canet will be in charge of the vineyard management and winemaking. The investment by the Tesseron family in Napa Valley follows on the heels of other growers from Bordeaux. Most recently, the Chanel Group bought St. Supery and prior to that, the owner of Chateau Latour purchased Araujo. LVMH owns Newton and Chandon, Christian Moueix owns Dominus and the famous Rothschild family, of Chateau Mouton Rothschild fame are partners in Opus One. In fact, the other branch of the Rothschild family that own Chateau Lafite Rothschild own the majority of the Chalone Wine Group. It’s not only winemakers from Bordeaux that have been investing in Napa Valley and Northern California, Larry Hyde, the owner of the famous Hyde vineyard entered into a partnership with the owner of Domaine Romanee Conti, Aubert de Villaine. 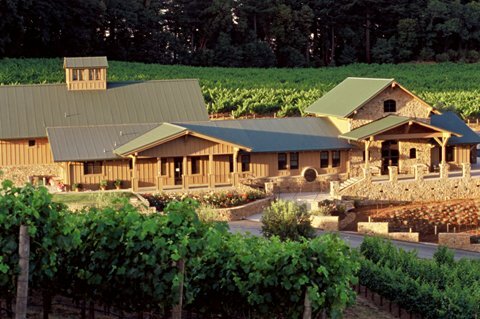 They produce Chardonnay and Syrah under the name of HDV, which stands for the Hyde and de Villaine families. Marc Perrin of Beaucastel has been active in the Central Coast region of California a long time, active partner in Tablas Creek Vineyards in Paso Robles. RT @JeffLeve: Scoop! 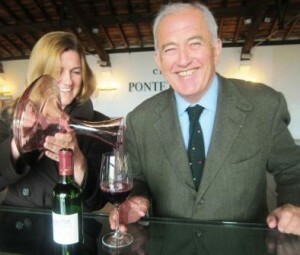 Alfred & MelaineTesseron of Pontet Canet buy Robin Williams Napa Vineyard! Scoop! 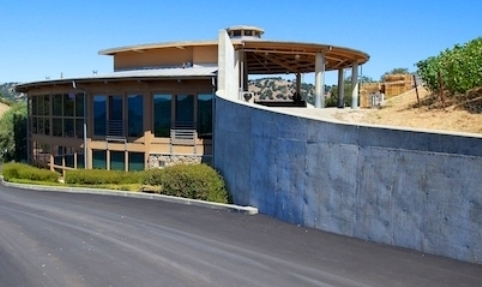 Alfred & MelaineTesseron of Pontet Canet buy Robin Williams Napa Vineyard!